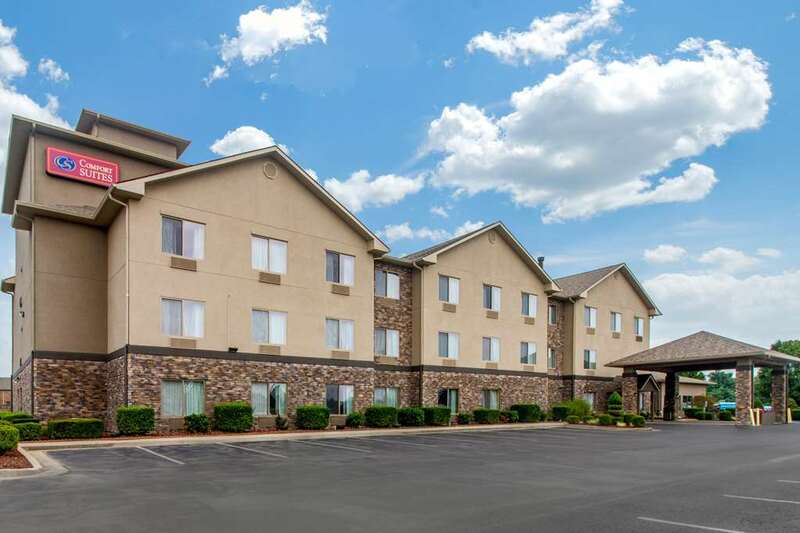 Get rested, set and ready to go when you stay at our smoke-free Comfort Suites hotel in Danville, KY. We are close to several destinations, including the Constitution Square State Historic Site Park, Old Fort Harrod State Park and Shaker Village of Pleasant Hill. We also offer each guest a free breakfast, indoor heated pool, exercise room, meeting room, free coffee and a laundry facility. Enjoy a great night in one of our guest rooms, all of which come with a refrigerator, microwave, hair dryer, coffee maker and TV. Sign up today for our Choice Privileges Program and start earning rewards with your next stay. All Comfort Suites are smoke free. Pet Accomodation $35.00/ night per pet. Pet limit: 1 pet per room 20 lbs or less.